Access to reliable climate information is important for all stages of adaptation to climate change. In the past years, there has been a flourishing of online climate information services. New initiatives are being launched almost every week, such that keeping track of what is available and finding the best source of information for a specific case is becoming a challenge. The Climate Knowledge Brokers Group was set up in 2011 to improve access to climate information and avoid duplication of efforts. 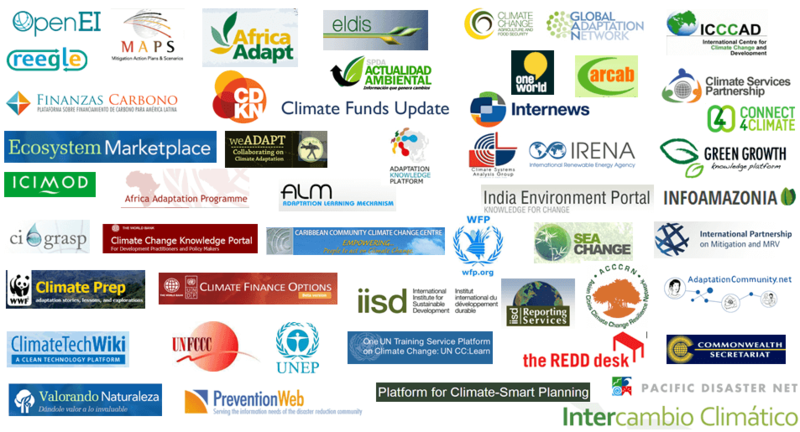 At the moment, about 50 of the leading global and regional climate change information websites are members of the CKB Group. Not only do they try to bring existing information together, they also work to initiate joint projects and learn from each other to provide users with what they are looking for. At the 19th Conference of Parties to the UNFCCC in Warsaw, GIZ, IDS and REEEP organised the side event Climate Knowledge Brokers Group: Transforming information into knowledge and climate action. Martin Hiller and Florian Bauer of REEEP, Geoff Barnard of CDKN, Anne Hammill of IISD and Jane Ebinger of the World Bank discussed ways of turning the emerging flood of disparate climate information into useful knowledge, identifying user needs, and connecting information users and suppliers. Speakers touched upon general as well as technical issues such as linked open data frameworks. Watch the video here. Find out more about the CKB on their website and fact sheet.